French version of a detailed exploration of the law governing pillage of natural resources for war crimes prosecutors, judges, governments and civil society, which formed the basis of an international conference on the topic co-sponsored by the Dutch and Canadian Ministries of Justice between 29 and 30 October 2010. See www.pillageconference.org. 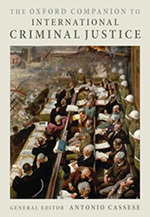 Antonio Cassese (ed) ‘The Oxford Companion to International Criminal Justice’ (Oxford, 2008) (peer reviewed). These short entries provide encyclopaedia-like treatment of a range of issues in modern international criminal law, including wanton destruction not justified by military necessity, plunder, judicial notice, internationalized armed conflict and Guantánamo. The entries were solicited contributions to a treatise on international criminal law. 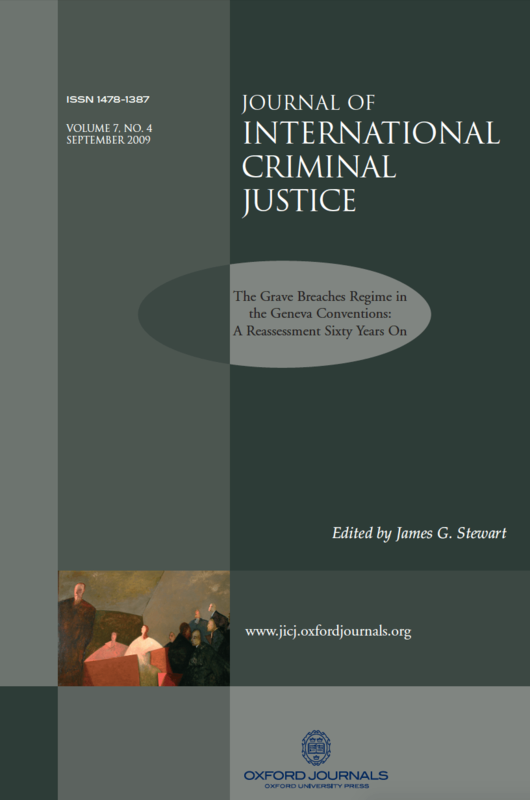 Journal of International Criminal Justice, Vol. 4(1) 2007 (peer reviewed). The article criticizes various aspects of the Military Commissions Act 2006, which governed the trial of Guantánamo detainees. The piece forms part of an expert symposium on the Military Commissions Act, which also included George Fletcher and Michael Dorf. The article is cited with approval in the amicus brief of the French Minister of Justice, which was joined by various international law experts, in the Omar Kadr case before US Military Commissions. The International Review of the Red Cross, June 2003, Vol. 85 No 850, 313 (peer reviewed). This article argues for the abolition of the distinction between international and non-international armed conflict in the laws of armed conflict, by highlighting the current dichotomy’s failure to cope with conflicts that contain both elements, namely, internationalized armed conflicts. The article was cited within the International Criminal Court’s first judgment, was listed as one of four documents of interest on the ICRC’s main international humanitarian law webpage, and is translated into Arabic, Spanish and Russian. For a reiteration of these arguments in light of contemporary events in Syria, see How Would War Crimes Prosecutors Classify the Syrian Conflict(s)?